To start the new year, the Maui Greek Orthodox Mission had the wonderful blessing and honor of celebrating Matins and the Divine Liturgy on Theophany with Metropolitan Gerasimos and Bishop Apostolos and Father Alexander. We also had the blessing to have with us Chanter Alexander from Holy Cross Greek Orthodox School of Theology, Massachusetts. This year one of our youngest parish members learned to chant. During the service, Metropolitan Gerasimos asked Joshua to sing the Apolytikion during the Hierarchical Divine Liturgy. To hear Joshua sing "As You Were Baptized" in Mode 1, select play on the audio control that is below the image on the right. There is good news to report to the Maui mission parish. Metropolitan Gerasimos and Bishop Apostolos are planning to visit our parish. Just as in past years, I am eagerly looking forward to His Eminence's and His Grace's visit for the Theophany celebration -- a visit that is a great blessing to our parish. During past visits, Metropolitan Gerasimos and Bishop Apostolos have both had great impact upon members of our parish. Metropolitan Gerasimos is a gifted writer and teacher, and perhaps the best example of these gifts are His Eminence's Encyclicals, which are always encouraging and heartfelt. Please plan on joining us for this year's Theophany celebration and the Great Blessing of Waters. Below is a schedule of events for this upcoming Theophany celebration and Hierarchical Divine Liturgy service with Metropolitan Gerasimos and Bishop Apostolos. Choral Music Lessons. On January 26th and 29th, Presvytera Stacey Dorrance of Eikona worked with our parish and taught us about choral music and chanting. This was transformative and so helpful to our mission parish! The annual celebration of Independence Day in this country is an opportunity for all to reflect on the value of freedom, its role in the history of the United States of America, and the opportunities it provides for relationships, life, and well-being. The value and priority of freedom is evident in the history of this country, both through the struggles to achieve it for all persons as well as in the great accomplishments and progress that have been made in terms of the freedom to think, speak, move, invent, and succeed. As Greek Americans and Orthodox Christians we celebrate this freedom. We recognize the blessings that freedom has provided to our families and ourselves as we live, work, and worship in this country. We also recognize the value of freedom in emphasizing our heritage and identity. We are free to share this cherished heritage in an environment that values freedom of expression and the open sharing of ideas and diversity. We have much to offer from our historic heritage. As members of this society and as Orthodox Christians we know we are truly free when our pursuits and goals are not for ourselves but for the benefit and spiritual well-being of others and for the honor and glory of God. Our freedom to speak is an opportunity to proclaim the Gospel. Our freedom to live securely is freedom to keep our ultimate trust in God. Our freedom to achieve is the opportunity for spiritual growth in communion with God and to guide others to do the same. Our freedom to believe is our opportunity to be a constant and beautiful witness through our worship in truth and love. As we join with family, communities, and as a nation in the observance of Independence Day and the celebration of freedom, may we affirm our commitment to sharing the true freedom we have thanks to our Lord Jesus Christ, and may we lead others to see the abundant life and tremendous blessings that this freedom offers to all people. I pray that the Liberator God and God of freedom be with you always. The Maui Mission had a wonderful celebration of Renewal Saturday with Father Alexander on April 18, 2015. As usual, it was indeed a blessing for us that Father Alexander could celebrate with our mission parish this month. The Maui Mission had a wonderful Holy Week celebration this past April, 2015. So many parish members expressed heartfelt thanks that Father John could be with us for Holy Week and Pascha this year! This was the first time in many years that our mission parish had a visiting priest on Maui during Holy Week and Pascha. The Maui Mission had a wonderful celebration of Theophany in January, 2015. It was indeed a blessing for His Grace Bishop Apostolos to spend time with our mission parish. This past year the Lord has blessed our small parish in many ways, beginning with a visit by His Eminence Metropolitan Gerasimos, Chancellor Father Apostolos and Father Theodore last January for Theophany. Over the year we have undergone a number of transitions and changes. One major change was how we conduct our services in English, and more about that particular change below. One major transition was the assignment of a new priest, Father Alexander Leong, now serving at Sts. Constantine and Helen on Oahu and monthly too at our small mission parish. We had our first Matins and Divine Liturgy service with Father Alexander on September 28th, remembering Chariton the Confessor. We are very thankful for such a gentle and kind priest and look forward to worshiping the Lord with him in the months to come. Our parish has had several visiting priests. First Fr. Photios Dumont served Divine Liturgy on July 14th, the Sunday of the Holy Fathers, and Matins and Divine Liturgy on July 21st, the 4th Sunday of Matthew. This was the first time our parish had an Orthros service -- it was awe-inspiring for us. Second, Fr. 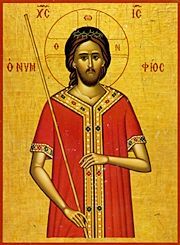 Luke Palumbis served Matins and Divine Liturgy on August 25th, the 9th Sunday of Matthew. These extra services had been genuinely uplifting and a great inspiration beyond words to adequately express. With these visiting priests, we have seen firsthand how the Holy Spirit works through faithful servants of the Church. For example, there was standing room only during Fr. Photios' visit, an apt occurrence for such a humble and faithful sermon! Additionally, Fr. James Retelas served on October 6th, the 3rd Sunday of Luke. And the Lord blessed our small parish again, with a visit in November by Father Timothy from the Ukrainian Orthodox Church of Canada. Father Timothy was our first visiting priest from another jurisdiction. Over the past year, we have conducted all our services entirely in English. And we have strived to make it as easy as possible for parishioners and visitors alike to follow along and participate. Yet, we learned that creating an easy English version is not at all an easy undertaking. The goal was a sequential hymnal for each daily service -- and we now regularly post typeset versions on the parish website. These compilations contain two versions of the service of the day, a text only version and a text plus music version. As there are multiple jurisdictions represented in our mission, we have tried to find an optimal English representation that can suit everyone. As already mentioned, this is not an easy task -- yet we are continually striving to find the best way forward. In our quest for Byzantine chant, we explored and draw from many sources, including from Holy Cross seminary, Greek Orthodox Archdiocese of America Department of Religious Education, New Byzantium Publications, The Monastery of St. John of San Francisco, St. Anthony's Monastery Divine Music Project, eMatins, Fr. Seraphim Dedes, St. John the Baptist Greek Orthodox Church, and Eikona. During the last Eastern Orthodox Church year, we celebrated Divine Liturgy seventeen times, Matins nine times, Typika six times, and a Thursday Evening Passion Service. The Parish Council of Sts. Constantine and Helen graciously provided our mission parish a gift so that families from the Maui Mission could visit Oahu for the Holy Week and Pascha services. Two families were able to attend St. Constantine and Helen. All our services last year were held at St. Theresa Church in Kihei, on Saturdays in the large sanctuary and on Sundays in smaller venues on the Church campus. We had many visitors join us for services. Last year, well over three dozen families visited the Maui Orthodox Christian Mission (including from Arizona, Australia, California, Vancouver Canada, Windsor Ontario Canada, Richmonds British Colombia Canada, Greece, Hawaii, Idaho, Indiana, Oregon, and Washington) to attend our parish services and fellowship hour afterwards. During some services we had standing room only. We are thankful for the opportunity to have communion on Maui Island with our Lord and are thankful for the many new friends we have made over the past year, including many who live around the world. We are in a very remote location, yet we have been spiritually fully nourished. During the coming new Church year, we seek to serve many in our island community and broader ohana, to trust the Lord even more and to continue to wait for Him. We remember Isaiah 40:31 and keep this particular scripture close in our heart: But they who wait for the Lord shall renew their strength; they shall mount up with wings like eagles; they shall run and not be weary; they shall walk and not faint. The Maui Mission had a wonderful time with Father Timothy Chrapko on November 10, 2015. It was indeed a blessing for us that Father Timothy could celebrate with our mission parish. The Maui Mission had a wonderful celebration on the Eve of Theophany. It was indeed a blessing for His Eminence Metropolitan Gerasimos to spend time with our mission parish.